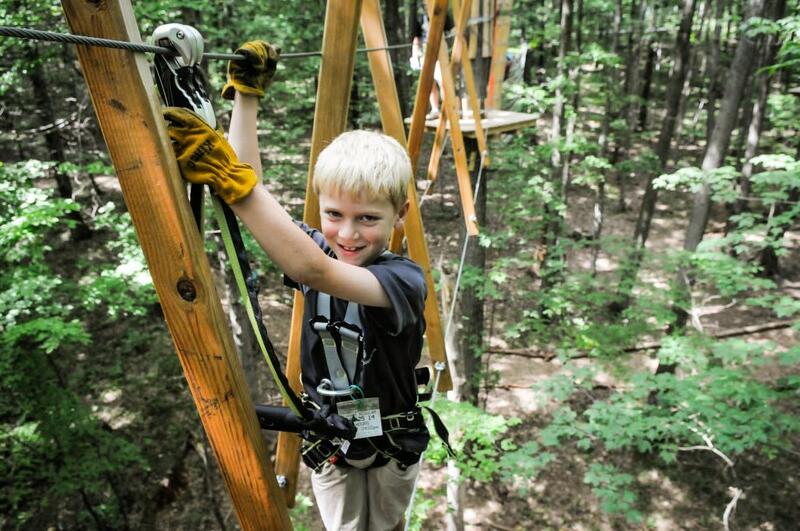 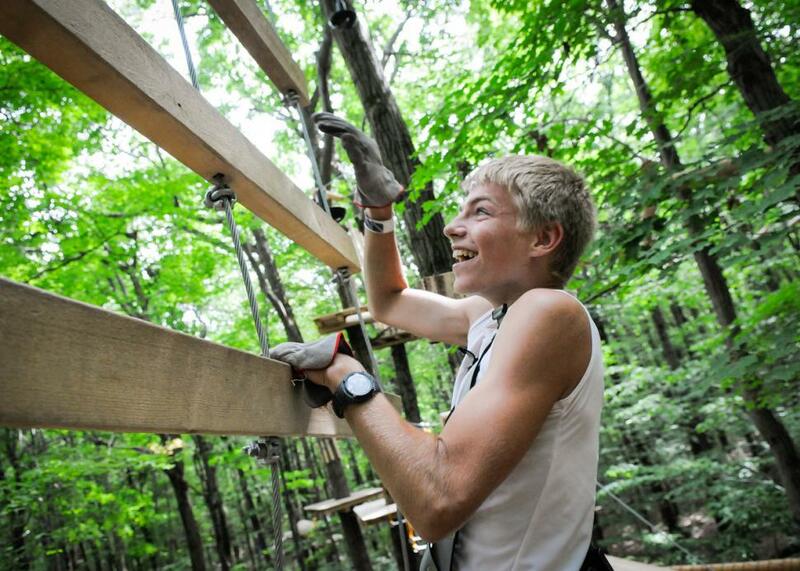 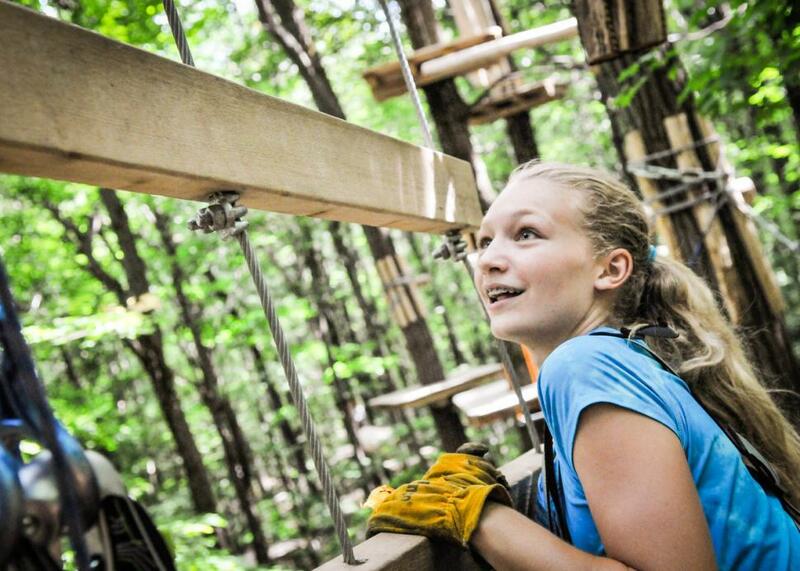 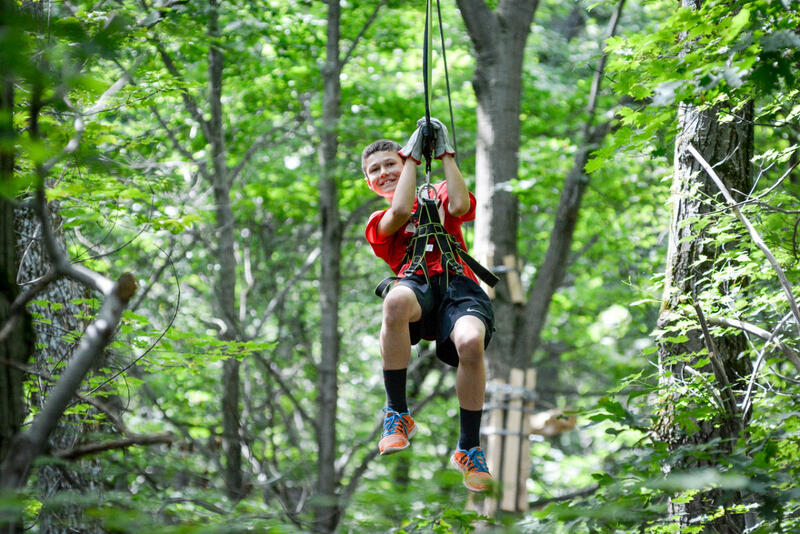 Bristol Mountain Aerial Adventure Park consists of seven courses with different levels of difficulty. 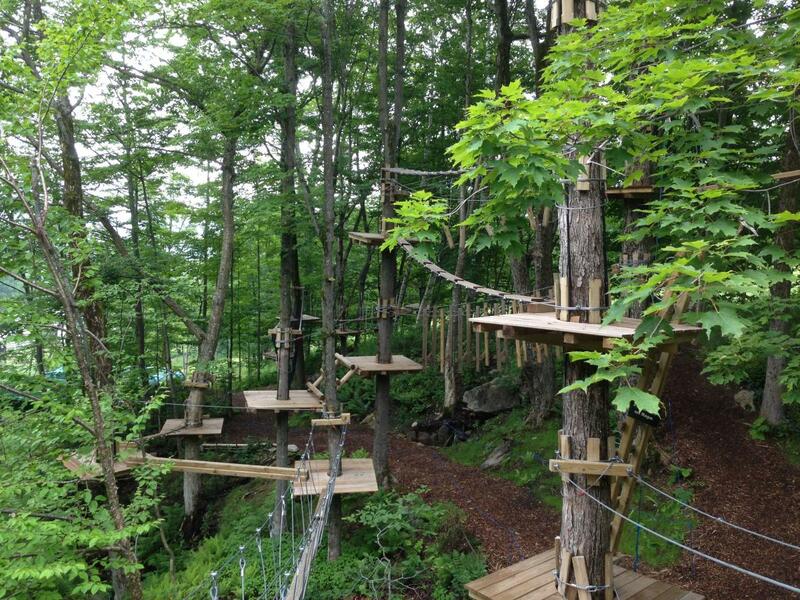 Each course is made up of 12-15 elements with each element being suspended between platforms that are secured to the trees. 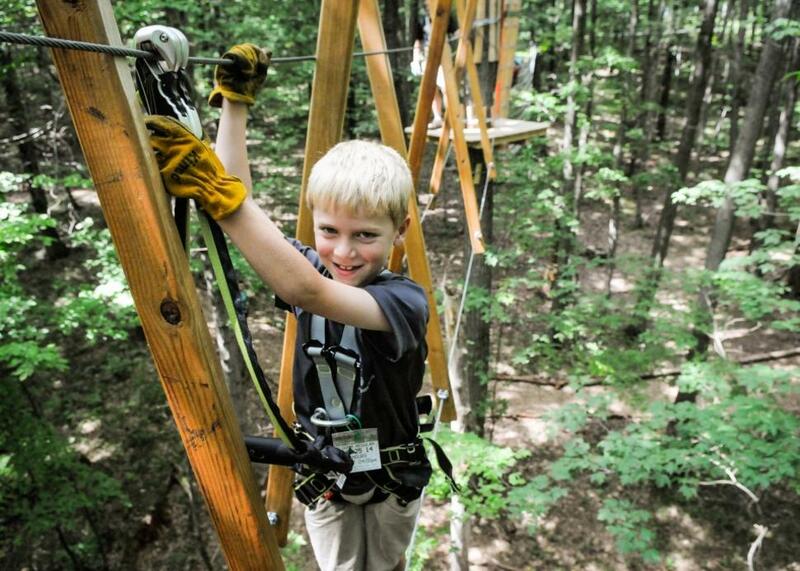 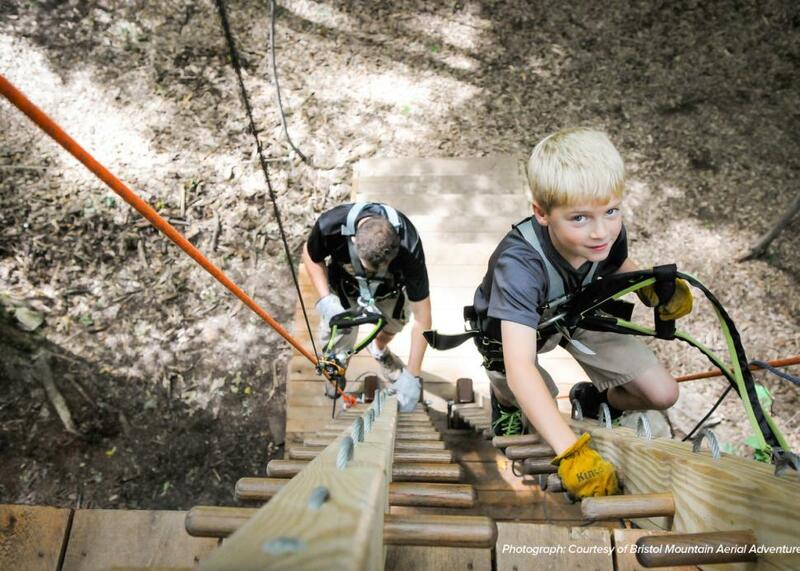 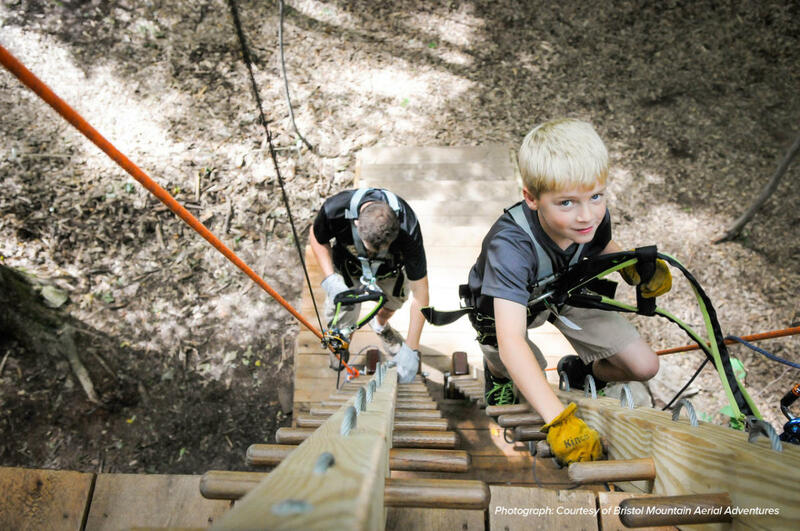 Elements include zip lines, tight rope walks, rope ladders, bridges and more. 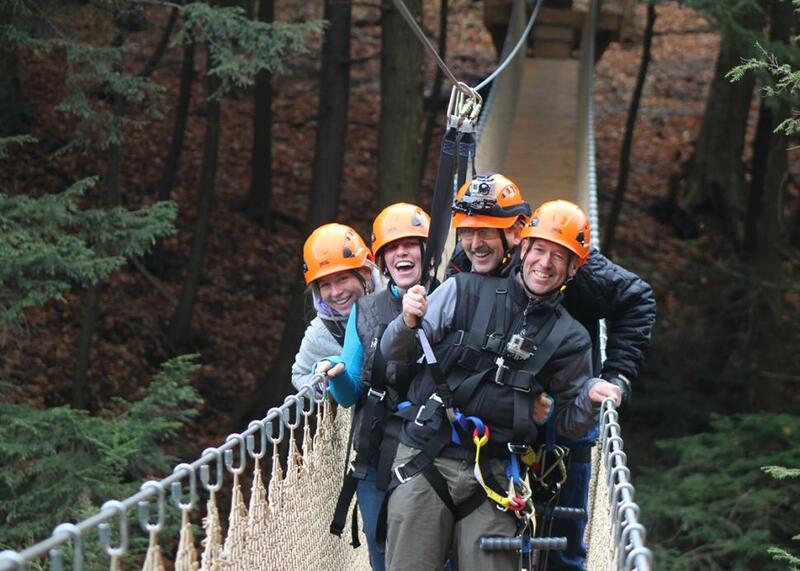 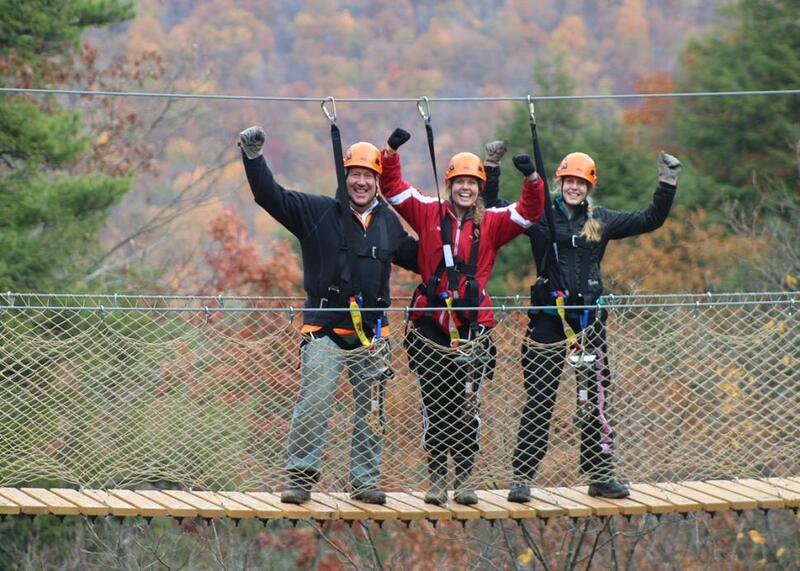 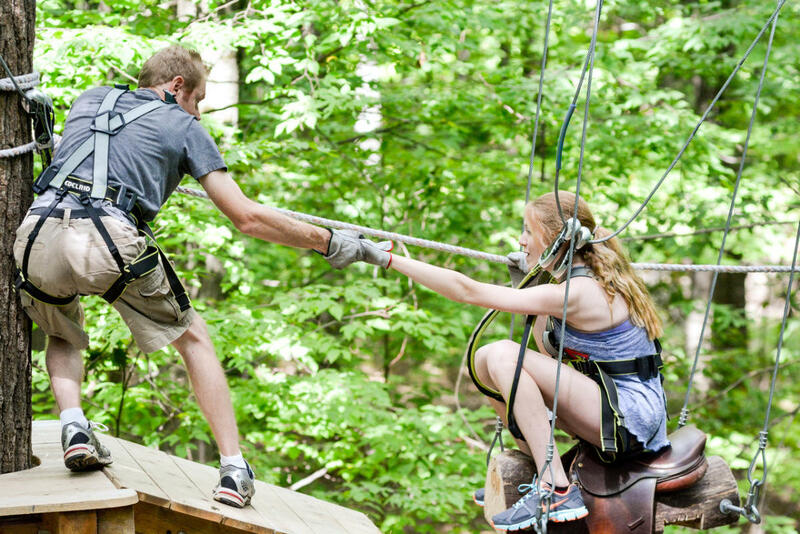 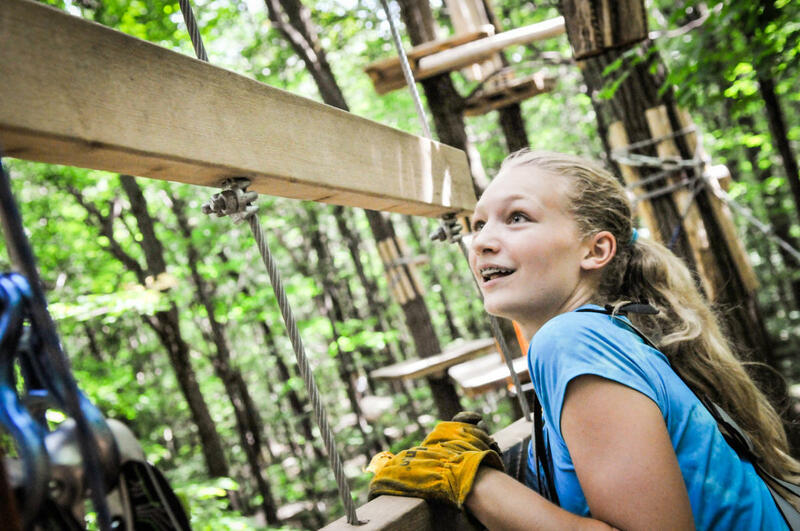 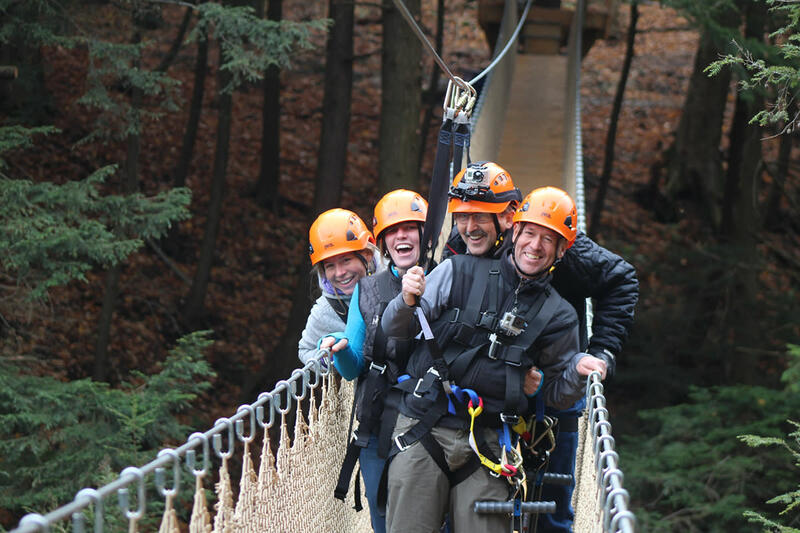 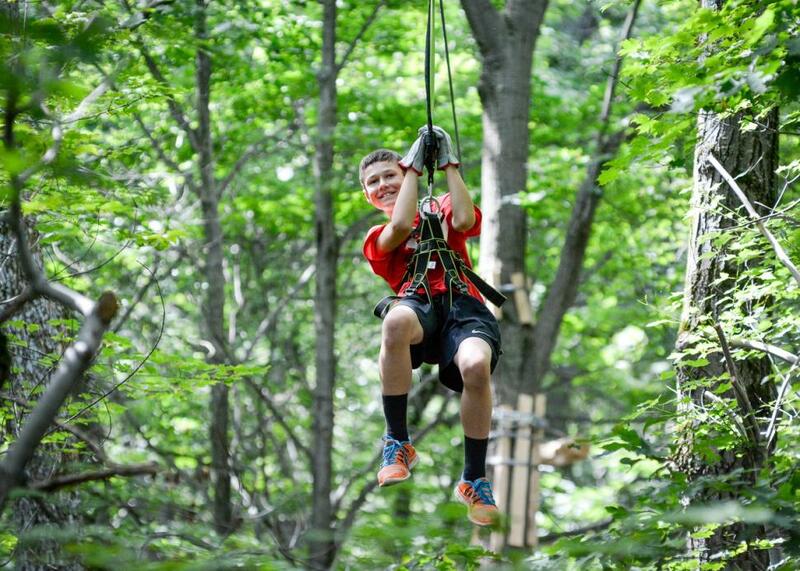 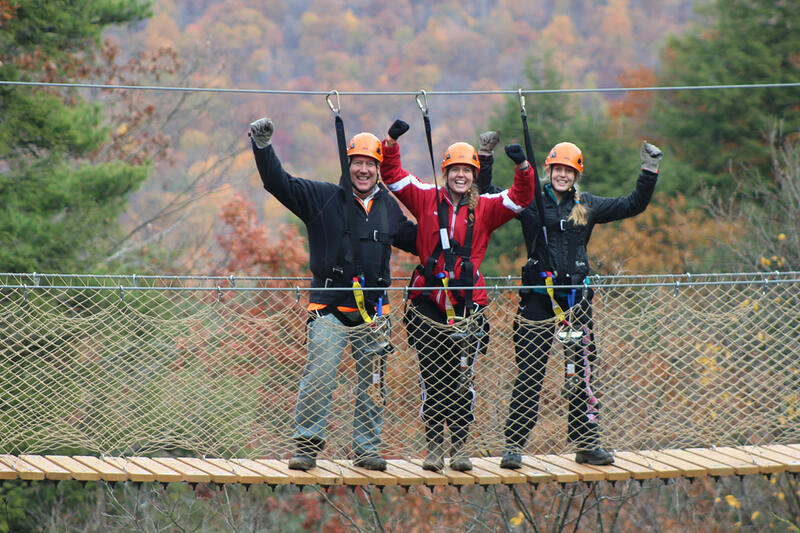 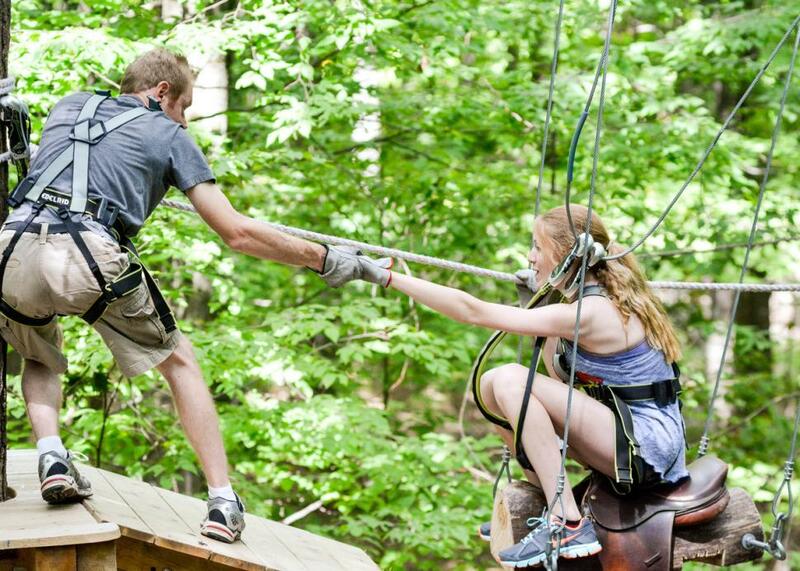 Bristol Mountain's Zipline Canopy Tour features 7 ziplines totaling over 5000 feet, 4 hear-pounding bridges, 2 hikes, 2 off road rides and a final "leap of faith". 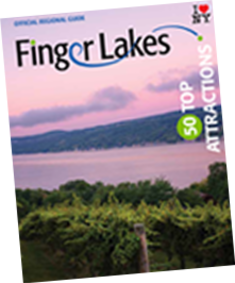 Each 3 hour tour is led by 2 guides and is limited to 12 participants. Reservations are recommended.